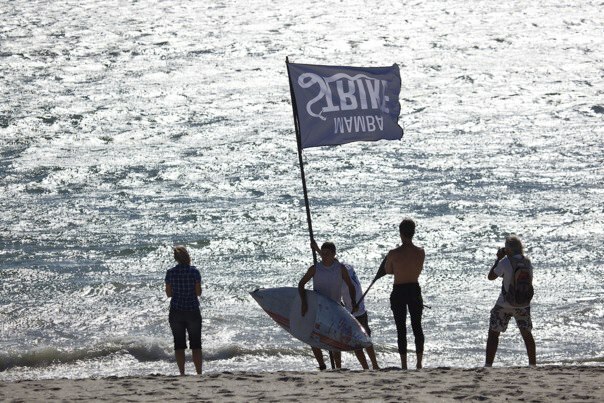 Here are the results and a race recap from this weekend’s annual Langebaan Dash Downwinder here in South Africa. 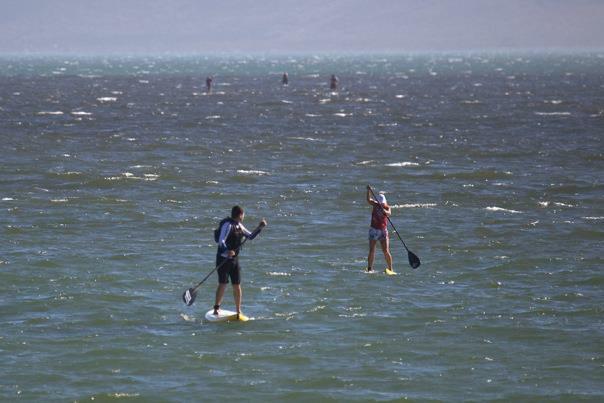 This race is traditionally a windsurf/kitesurf event, but 3 years ago the SUP’ers were invited along as well and this year more than 30 paddlers gave it a crack. The regular wind/kitesurf course becomes a bit of a sidewinder on a SUP, unless the wind switches to pure South East, so we ended up doing an alternate route this year which turned out great. Taking out the win was young gun Dylan Frick in the men’s race and the unstoppable Brigette van Aswegen in the women’s. The story below is thanks to race organiser Rob Munro and all photos © Maleen Hoekstra. The 3rd running of the Dash to Saldanha from Langebaan was held this past weekend. With a forecast of SW winds the organisers decided to change the course and opted for the alternative Kraalbaai to Club Mykonos (CM) route. This course leaves the calm warm waters of the West Coast National Park and proceeds into the bay, past Skaapen Eiland then straight onto the beach at CM. 35 people took part with a varied field of first time racers, seasoned pros and a 9 year old boy! A range of boards from 9’6 all round boards to hollow carbon racers lined up in the shallows of the lagoon and at 4pm the race started in building SW wind. 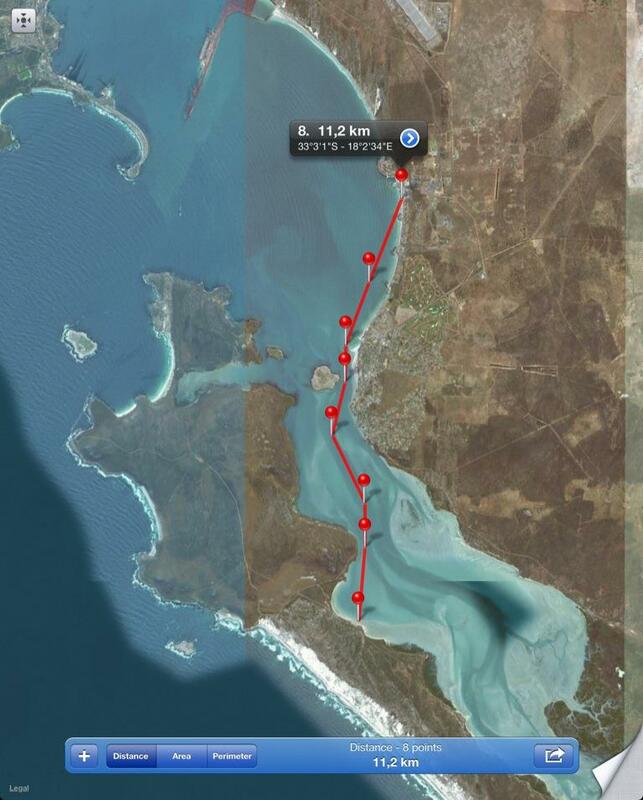 The previous day the winds in Cape Town and Langebaan were pushing the 50 knot mark, so for those who had utilized the previous day’s hurricane, it felt like a flat water race! Defending Champions, Dylan Frick and Brigette van Aswegen set the pace in their respective classes and managed to retain their titles. Brigette is now undefeated in this competition and has been seen writing her name as “Brig3tt3!” The strengthening winds pushed all of the riders into the bay with 4 people opting for the short trip to Pearly’s beach and the rest finished the full course with no mishaps. 9 year old Melkbos boy, Cam Tripney was received by the waiting crowds after completing his first long distance race with his father, Steve, proudly shepherding him home. 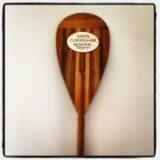 His efforts gained him the “True Blue Travel” achievement award and stole the hearts of many. The oldest competitor also completed his first dash and had a huge smile on his face, well done Mr Nick King! Rookie of the competition could have gone to Craig Scapa who finished 7th, but Roscoe Keeler managed to complete the course in last place on a 10’6, so well done to the Paternoster local! The first Jr home was Josh Robertson who finished 5th overall and Matthew Maxwell and Calvin Ginsberg shared 2nd in a dead heat run to the flags. In the women’s race Patricia Kohrs came home 2nd to Bridgette and Monika Wohlgemuth was 3rd. In the men’s race Dylan Frick took 1st with his father, Francois putting in a late and wide push to finish 3rd behind the inaugural winner Greg Bertish. Prize-giving was held after everyone was safely accounted for (and suitably re-hydrated) along with the lucky draw. Prizes from Seattle Coffee Co., True Blue Travel and Friday Island were handed out along with the “Simon Cunningham Memorial Trophy.” The trophy, a Hawaiian wooden paddle (a gift to Simon from the Chairman of the UK’s SUP Association), is a memorial to a great guy who lost his long battle with pancreatic cancer. 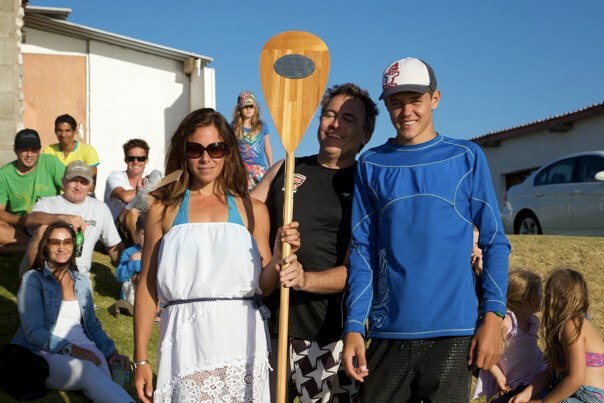 All proceeds from of the event are gifted to an Association or individual, of the organisers choosing, and this year the monies raised will be paid to the SUPSA Team who are heading off to Peru for the ISA SUP World Cup. Thanks to all of the companies and people who donated prizes, time and effort to make this a truly fun time with lots of smiles. More photos will be forthcoming and the final tally on fund raising will be announced shortly. For more info check out the event page on Facebook.